I didn’t know kayak nerds existed until today when I realized I am one. 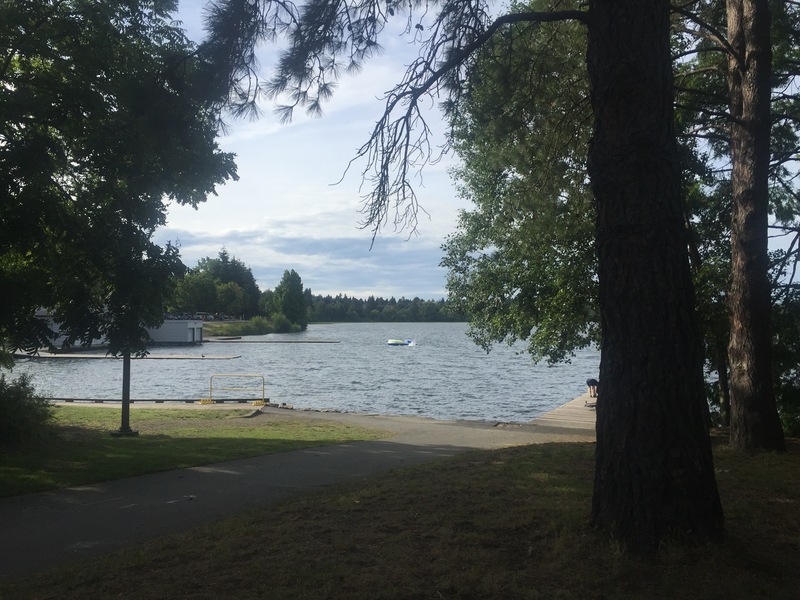 After taking two busses from work, on a Friday night, for the Duck Island Race at Green Lake I enjoyed last summer during my sprint paddle class, I found out they weren’t having it this week. Why? Because no one wanted to paddle on a Friday leading to a three day weekend. People who pay hundreds of dollars a year to be part of a kayak club would rather be doing something else. Yet there I am standing in my yoga pants, sports top, with my bright yellow backpack on to stow everything from work while I paddled. That’s when I realized I am in fact a kayak nerd. What did YOU nerd out on this weekend? Ha ha 🙂 takes one to know one! Once you have caught the kayaking bug there is no going back! Kayaking is one of those great things where you can buy the Bucket That Floats and puddle around on the local pond whenever you want, or get a Real Boat and go big. Or anything in between. It’s fabulously accessible for everyone, and some just want to go play when the weather is perfect and the water is flat. So true. You can make it whatever you want and add in so many other things (like self studying biology like you!) to make for the perfect nerdy adventurous day! On Saturday, I attended a wedding for a niece in Grand Lake, Colorado. Uhmmm . . . yeah, I said “Lake”. Well, of course, I had to bring some kayaks. Two-and-a-half hours before the outdoor wedding ceremony, and after having lunch with my father and wife and brother and wife, I looked at Lisa and said, “I think we can get in an hour of paddling and still get back in time to shower and get dressed. What do you think?” She replied, “Let’s go!”. Does that qualify? We did! Showers, suit, tie, dress for Lisa and all with 15 minutes to spare.